Citizen Verdict is an interesting movie. The plot is about airing criminal trials on television and the audience acting as the jury. 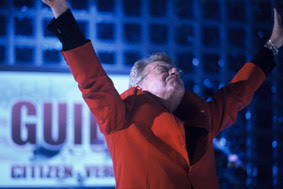 Jerry Springer plays Marty Rockman, the TV producer who thinks up this idea. 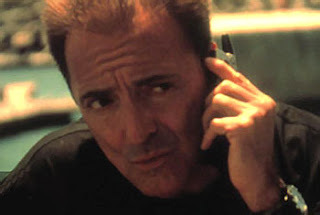 Armand Assante is Sam Patterson, the defense lawyer. Assante And Springer put in fun performances. They both go over the top. 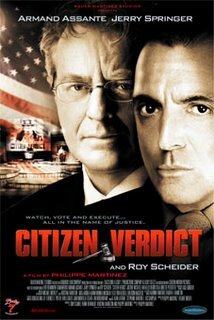 If you loved Springer's performance in The Defender (2004) as the President, you'll definitely like this one. He has more screen time. He has a great speech near the end of the movie. One of the problems with the film is that some of the other actors are pretty lousy. (the actress who plays Patterson's wife and the Citizen Verdict TV Commentators). Another problem is that there are too many cutaways to the "man\woman on the street" interviews. It hurts the film a little. Besides that, the movie is worth watching to satisfy your longing for the Armand\Springer team up you always knew was coming.